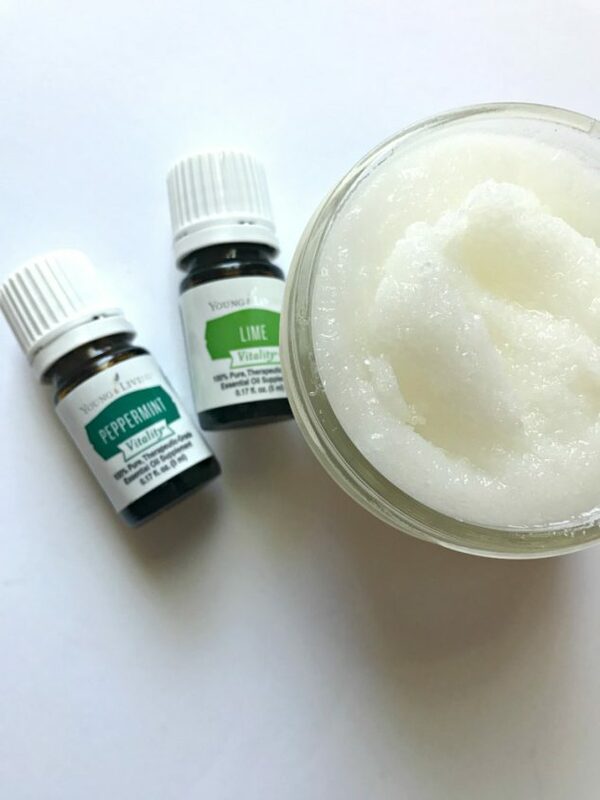 Get your feet ready for summer with this easy to make all natural, Homemade Peppermint Foot Scrub! 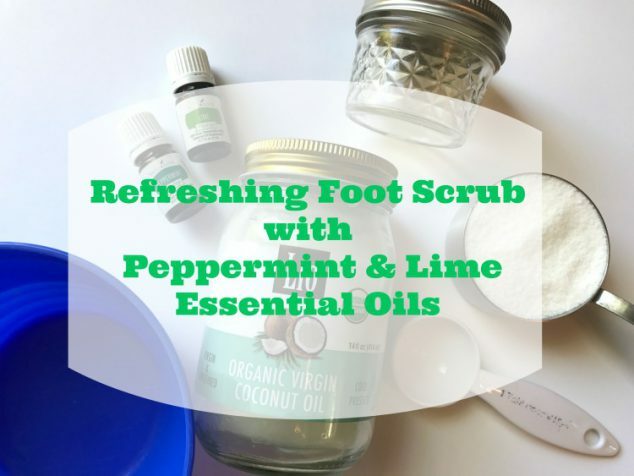 The peppermint and lime essential oils make this foot scrub refreshing and cooling to the feet. It’s gentle enough to use a few times per week. Wanting an easy DIY gift to give someone soon? This refreshing foot scrub makes the perfect gift for everyone. It smells like summer in a jar!! You might find that you even have everything you need to make this refreshing foot scrub already. It only takes a few ingredients and supplies. Start by gathering your supplies and heading to the kitchen counter. You want to grab your mixing bowl and add the 1/2 Cup of sugar first. Next, add 2 TBSP of coconut oil and mix together with the sugar. Once those 2 ingredients are mixed well, add your Young Living essential oils! 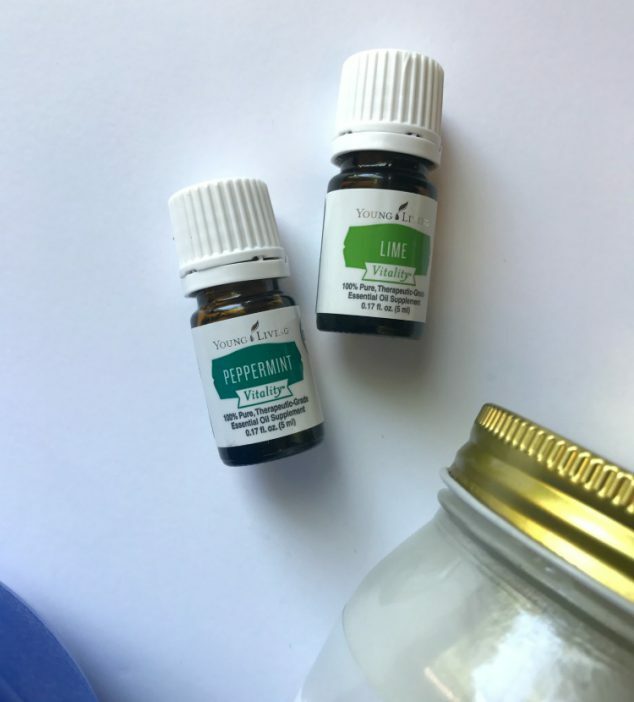 For this recipe, you will want to add 3-4 drops of both the peppermint essential oil and the lime essential oil. Once those are added, give a good mix and then transfer to your small glass jar. That’s it! How easy right? Keep in your shower for easy access. Grab a scoop out using a small spoon or just your hand and massage on each foot for about 60-90 seconds then rinse. The oils in this recipe can make the shower floor a bit slippery so be careful when using your scrub! Make sure to towel dry your feet or slip socks on while the moisture is absorbed. 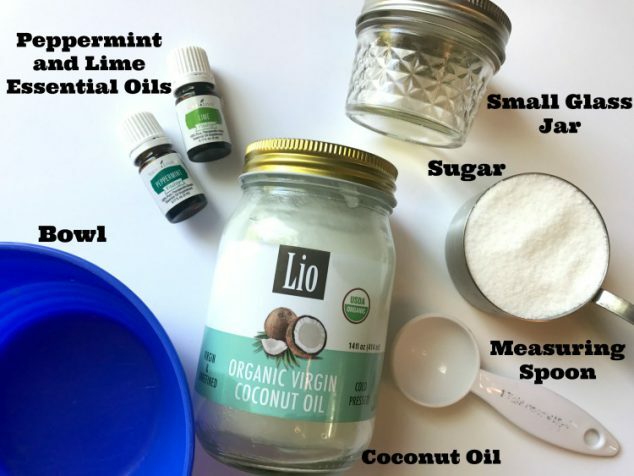 This DIY foot scrub can be used a few times a week to help keep your feet exfoliated and soft during those summer months. *To make this homemade food scrub gift ready, just add a label to the lid or just a green ribbon around the top. Pop in a gift bag and you have yourself an easy DIY gift! I hope you enjoy this homemade peppermint foot scrub. Let me know what you think in the comments below. mmm, i bet that smells delicious. good enough to eat!